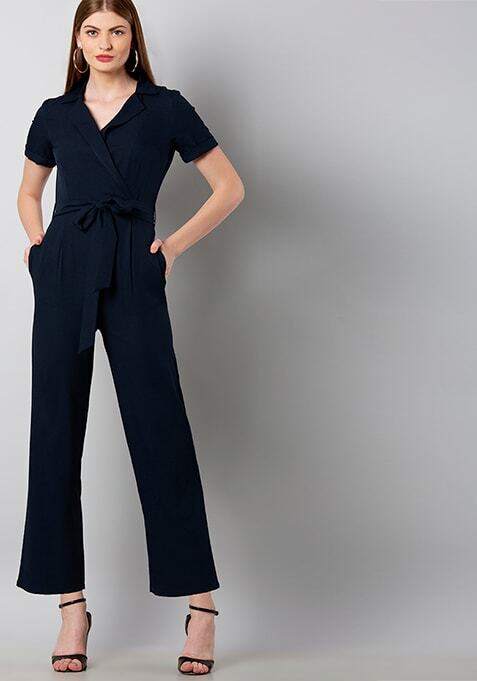 Give your look a fierce touch with this hot jumpsuit in blue. Featuring a collared neck and belted design to enhance your curves. Work It: Team it with pointy toe stilettos and wear subtle makeup to look hot AF.